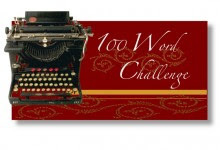 This week's 100 Words challenge at Thin Spiral Notebook is to use a food colloquialism. I'm not sure how well I did this, but here is my brain's offering. I was always certain you felt the same undeniable rightness of us. I saw it in your eyes, even when the rest of you refuted it. It was extremely hard to give up, but it was killing me. When you allow for second choices, by default you make your first choice your second choice. I have never been big on being second choice. I refuse to be content with scraps thrown on the floor from your banquet table. Sour grapes can provide powerful nourishment when it's all you have left. I am stronger than you know. Than even I knew. It depends... watching football vs shopping? Fishing vs vacuuming? Cuddling afterward when smmachs need to be made? Girl, you have a talent for saying much with few words. This was perfect. Well done. This was powerful. And good on them for standing up for themselves! This is SO SO good. Glad you are writing again.